West Virginia University is also featured in our ranking Top 15 Online Master’s in Forensic Accounting. 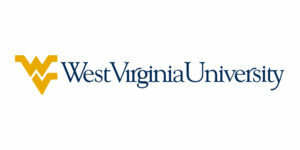 As technology evolves, forensic accounting and fraud detection techniques have changed significantly, and West Virginia University has earned a reputation as being on the forefront of the field and providing the most up-to-date education in forensic accounting. They have partnered with the United States Department of Justice to create standard curriculum guidelines for programs across the nation. Classes involve both theoretical and experiential learning in detecting suspicious activity, tracing financial crimes locally and internationally, interviewing subjects, and courtroom preparation. The entire program consists of 10 predetermined courses. Six of them are specifically related to forensics and fraud including Fraud Data Analysis and Fraud Criminology/Legal Issues, while the remaining four are more business-oriented like Business Research and Decision Analysis for Executives. All of the classes can be taken completely online, but students are required to come to campus twice, each for a 2-day residency program. During this time, students meet experts in the field and work on team projects. Located in Morgantown, a small city in the northern part of West Virginia, WVU is the primary campus in the West Virginia University System which includes four other smaller campuses throughout the state. Currently enrolling approximately 28,000 students per semester, the school has grown significantly since its inception in 1867 when the U.S. government provided land in exchange for education focusing on engineering and agriculture. Designated as both a land-grant and space-grant university, WVU still emphasizes these disciplines but also now offers over 360 different degrees in a variety of fields including many all-online programs. The College of Business and Economics, itself, offers 18 different degrees, four of which are predominately online including the Forensic and Fraud Evaluation master’s degree. The school still emphasizes the importance of research, and students and faculty have made recent contributions in the areas of teen substance use prevention, affordable solar power options, and voting rights and policy. Along with recognition by the Department of Justice, the U.S. News and World Report has also recognized the WVU forensic accounting program, ranking it the 63rd best online business non-MBA program in the nation. Overall, WVU is accredited by the Higher Learning Commission (HLC). This organization is responsible for evaluating colleges and universities in 19 states located mostly in the central region of the United States to ensure that they meet certain standards. 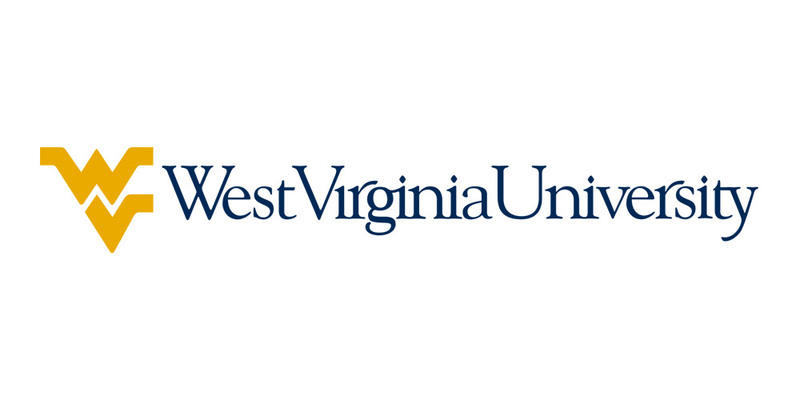 West Virginia University first received accreditation in 1927 and undergoes scheduled reviews every ten years. The school most recently completed this process in 2014. The HLC analyzes a variety of criteria including Teaching and Learning as well as Resources, Planning, and Institutional Effectiveness. In addition, the College of Business and Economics is accredited by the AACSB, or Association to Advance Collegiate Schools of Business, for graduate degrees in both accounting and business. This certifies that the school keeps up-to-date with industry trends and produces graduates who are well prepared for professional life. Admission to the graduate forensic accounting program is fairly competitive, and all prospective students start the process on the WVU Application Portal. On this site, they must first complete the application and pay the required fee. Along with this, students use the portal to submit necessary supplemental materials including a resume detailing academic credentials, employment history, and volunteer experiences as well as membership in any professional organizations, a single-page statement of purpose outlining career goals and interest specifically in West Virginia University, and one to three letters of reference. After submitting the application, students need to request complete transcripts documenting completion of a bachelor’s degree as well as GMAT scores. Individuals who have at least 2 years of relevant work experience, hold a current CPA license, or have their JD degree can choose to waive the GMAT requirement. Unless prospective students receive this waiver, they need a GMAT score of at least 500 in order to be considered for admission. In addition, while no specific major is required, students must have earned a bachelor’s degree with a cumulative GPA of at least 3.0. The four required prerequisite courses for WVU’s forensic accounting program include the following. Applicants lacking these classes can complete them directly through WVU in partnership with Ivy Software to fulfill this requirement. Each year, new students enroll in the fall semester, and applications are evaluated upon receipt. Admission is then offered to qualified students until all seats have been filled. As opposed to on-campus programs, online programs at West Virginia University have the same tuition rates for in-state and out-of-state programs. For the Forensic and Fraud Examination master’s degree, students pay $1,023 per credit hour which is approximately $9,207 for each semester. The entire degree requires 30 credit hours which calculates to a total of $30,690. All students are advised to submit a FAFSA to determine eligibility for any federal aid or loan programs. Then, staff in the Student Financial Support and Services office work with each individual to explain available funding options and suggest applicable outside scholarship and grant programs. While federal grants are not generally available for graduate students, graduate PLUS loans and unsubsidized loans are offered through the government. Additionally, through the contributions of numerous alumnae, the College of Business and Economics offers a variety of merit and need-based scholarships for graduate students each year. Outside organizations in the fraud and forensic accounting industry also offer scholarships which include the Ritchie-Jennings Memorial Scholarship provided by the Association of Certified Fraud Examiners. Since the M.S. in Forensic and Fraud Examination is an online program, many students continue their full-time professional employment, and this can be another source for tuition relief. Many companies offer tuition reimbursement programs which help students pay for advanced education in related fields. With the evolution of online accounting systems and increased ease of worldwide communication and banking, there is a growing need for forensic accounting professionals. West Virginia University’s online master’s program in Forensic and Fraud Examination has set itself apart as a leader in this field, and graduates are well prepared to enter the industry with extensive experiential and didactic training.